The Russian capital's innovations have been underway since 2011, and in these last six years, have seen successful implementation of three platforms to offer its services to citizens. I had a chance to visit Moscow a few weeks ago with a group of Canadian civil engineers. I was impressed by the level of engagement that residents showed in the governance of their city. The Russian capital has automated and digitized its municipal facilities, transportation, healthcare, and education to name a few, and created a seamless multiplatform tool to distribute and maintain the system. Per Andre Belozerov, Senior Advisor on Strategy and Innovations to the CIO of Moscow, these smart city innovations have been underway since 2011, and in these last 6 years, have seen successful implementation. Open communication channels in mobile applications, on websites and forums create a more transparent interaction, and help the city deliver better and more effective public services. 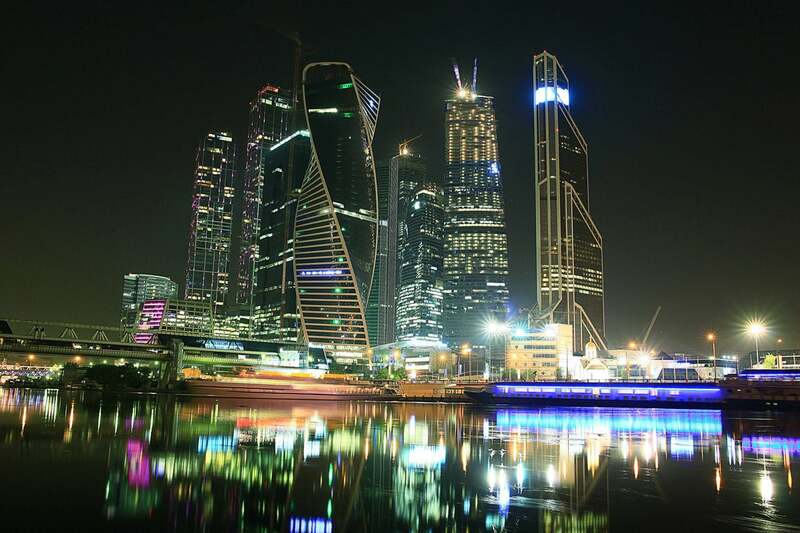 Moscow is also testing artificial intelligence, virtual reality, and blockchain architecture to expand its smart city project. The municipality has created three platforms to offer its services to citizens. Our City is an online forum that allows citizens to report any issues and comments regarding public services and amenities. It is aimed at addressing complaints especially. For example, a delay in the neighbourhood’s garbage collection, irregular electricity supply, and other issues. It hopes to encourage a community of citizen users who will help to keep the local government accountable. Currently, there are over a million recorded users on the site. For greater accessibility, immediate reporting and the staggering number of citizens that rely on this technology, mobile applications are crucial for keeping this forum active. The results are largely proof-positive. Over 1.9 million problems have already been resolved via Our City. The second tool that Moscow residents use in droves is Active Citizen. The website and mobile application combo allows citizens to vote on city development matters. These referendums have empowered residents to play a greater role in choosing the policies and implementations affect their city – things such as speed limits, new playgrounds or parks, sports complexes and more. There is thus greater accountability on the municipality’s part in helping to explore new avenues of progress in public amenities. More than 2,600 polls have taken place already, and there no surprise that such a system has attracted over 1.9 Moscovians. According to Belozorov, Active Citizen will soon be making use of blockchain technology to further improve the forum in place. The surveys and consequent results gleaned from the voting have already brought about significant changes, by making bicycles more available to the public, “greenifying” the city by sanctioning more parks and tree plantations, and other milestones. Blockchain technology will further improve these referendums by assuring that there is a transparent record of votes, and no way to misunderstand the data. This functionality ensures a purely democratic process, and that whatever citizens want, they get. Crowd.mos.ru is a crowdsourcing forum that is already undergoing further improvements by the end of November this year. It helps to gather interested residents on one forum, and encourages them to provide their own ideas for intercity projects. Fourteen projects have already been implemented through this interface, and the site has registered over 130,000 users already. Implemented projects include specialized educational initiatives, leisure and sports activities for the physical and psychological wellbeing of elderly citizens (the renovation of Gorky Park, for example), and others. Over 2,700 ideas have been selected from the online consensus board, and most are on the way to fruition. The message is clear: Moscow wants its citizens to know that it is acutely aware of what they want, and is providing them the means to voice their opinions on which projects see the light of day. My Street is one of these smart initiatives. It is the largest urban development project undertaken by the Moscovite government, and hopes to create about 50 kilometres of pedestrian zones throughout the city. Parking issues are the crux of the issue, and the project will hopefully ensure greater safe spaces for those on foot by limiting cars and other transport modes. Repairing the city’s crumbling footpaths is another proposal. Russian architects have collaborated with foreign talent to help realize this initiative, which received a 90% approval vote on the site. With the rapid trend in distributed public consensus, aided through such clever digital initiatives, there is a greater democratization of government procedure and policy implementation. Moscow is on the forefront, by granting decision-making powers to those for whom the policies are intended.